Whether you are about to get promoted or think about applying for the position of a Sales Manager in the sports industry, it’s good to know beforehand what the role includes. Because, even though, the title indicates “Sales”, its requirements are very different from an actual salesman or vendor. Since the position is one often found in our job board – as the sport’s good’s market is one of the biggest hiring branches – it’s time for an overview of the position. 2 Which qualities and skills do you need as a Sales Manager? So, what exactly does a Sales Manager in a sports company do? Like we said, direct selling is, in most times, not a part of this position anymore. However, knowledge or former experience as a Vendor is a big plus. Why? Because a Sales Manager coordinates, guides and leads the Sales team of a company. Together with the HR department, they hire and train new team members, giving them the necessary base to succeed in their jobs. Furthermore, the Sales Manager defines the different Sales territories for each team member, defines the sales goals in smaller companies and supervises their team to make sure that the quota is reached. In general, it’s great if you bring former experiences as a salesman. It’s often successful and experienced salespeople that get promoted to Sales Managers during their career in one company. Understanding how distribution works and which instruments to use to push Sales will be a great base to direct your team. For external applicants though, the sales experience is not always necessary. Sports companies especially look for management experience, since leadership skills are absolutely necessary in this position. Instead of going forward and working alone, like talented salesmen often tend to do, you need to be a teamplayer. As a guide and mentor for your Sales team, you need to take care of each member, listen and support them in reaching their tasks. Furthermore, a Sales Manager needs to motivate its team on a daily base. Good communication skills are also essential for this role. You need to be able to explain the tasks, sales plan, budget and distribution channels to your team, so that they understand what exactly they need to fulfill. In combination with patience and enthusiasm, they will be the perfect foundation for training your team. They also come in handy in case of upcoming problems with customers or between team members. Your analytical skills are crucial for the managing part of the role. You should be able to set up a realistic budget and goals, reading quota and being able to foresee the development of your sales on a monthly, quarterly or yearly base. Also, if you are able to keep calm and think through different steps, this will help you make success-driven decisions – which will come up often in a leadership position. As you see, the role definitely requires former experience, so the job is not suited for a career enterer who just finished his studies or apprenticeship. Whether it’s other management positions or Sales, to be considered for the position, you should have been working in a suitable field for at least 3-5 years. If the profile fits yours and the career as a Sales Manager seems attractive to you, you can find different job opportunities throughout europe in our job board. However, there’s two sports jobs that we would like to highlight. One being a great possibility to enter the career as a Sales Manager when you’ve only got little experience in this position. Keep in mind though that the role in general is not an entry position! The second position is a great challenge for experienced Sales Managers who are willing to conquer a new market and set up quotas, goals and strategically plan the distribution for a brand in a new region. These two are exceptionnel examples to see in detail what the requirements for the position are and how much the tasks can vary, straight from the view of two well-known sports companies. 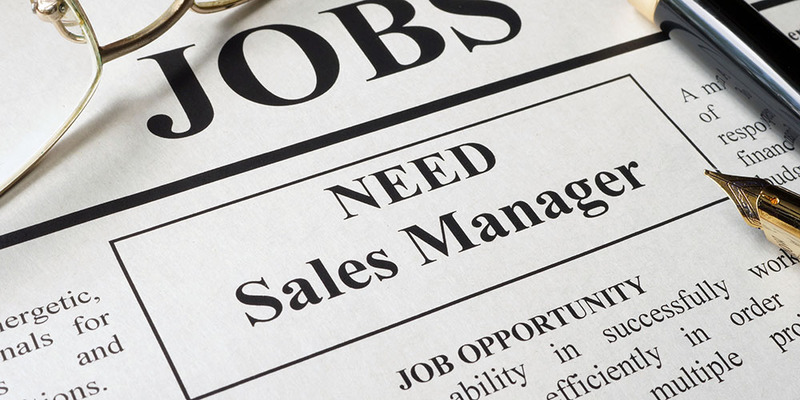 If you’d look for the classic profile of a Sales Manager, this position is perfect. You’ll be the connection to the important clients, taking care of communication, ordering and delivery processes. Find out more.